Beside some basic info, there isn't much info about map scripting. If player holds specific territories he can form(by choice) an "empire" that would grant him some bonuses like speed over those territories, drop-off bonus overall on same and etc. I would like to avoid game modding for this case. How, if able, to manipulate territory options trough script? I was able to find most things about units(or buildings, it's teh same thing), but that's it regarding scripting. If script is to be added, than map should be built as scenario or it can be built as map? I did a "speed" bonus for ships in my EE2 Pirates scenario ( http://forum.ee2.eu/t1608-ee2-pirates-2013 ). So I added a crown effect to all naval units. But you can add other effects, for example "Drill", then your land units will be faster. Maybe it can give you some examples. About the other effects - I think you can find them in "db.zip\db\AreaEffects". I don't think it's possible to create effects "in script", so you would have to mod game files to add them. Must be saved as scenario. Map files don't contain scripts I think. 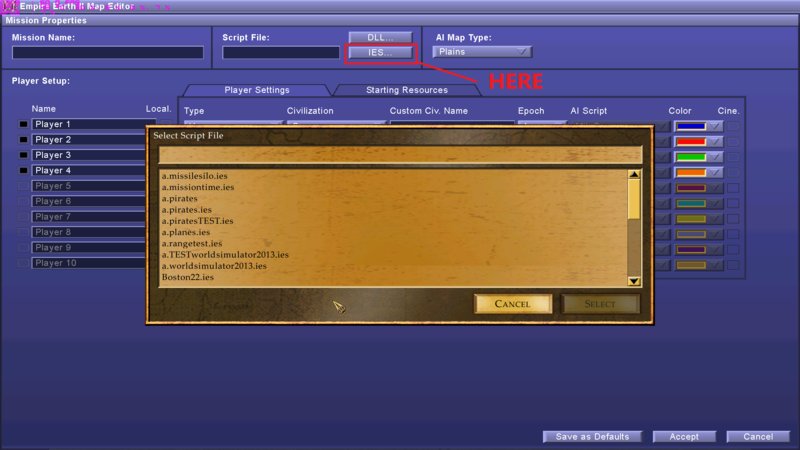 Then after you load a scenario in game - you can save a game and move from "Documents\Empire Earth II\savegame_SP" to "Documents\Empire Earth II\savegame_MP" to load it in Multiplayer games ( http://forum.ee2.eu/t1646-how-to-load-a ... ame-on-ee2 ). How, if able, to manipulate territory options trough script? Got that doc few days ago ye it has some bout counting turfs. Can't, in that case you could have an empire that looks like cheese. Take roman empire for example, it was formed out of smaller states. Now, drag that trough code. So it should be actually fixed on names,...which sadly I will do eventually -.- I just started adding territories and...it looks like threes no end to it(ye I like loooong games ,this was actually related with Game Peace post) ,but map as map should work fine in any mode. scn is def scenario exten. wahts ies? beside its regular txt file(from scripting point of view). .scn is a scenario file: map + loaded script, defined areas, mission properties, etc. No, .ies are only for "modders". The other game scenarios/missions have been "compiled" (to .dll I think), so we are not able to see/import scripts. It's because this feature was added with version 1.2 of the game. It won't work on version 1.0, because this version didn't support .ies scripts. It also includes some improvements for crash fixes for .ies scripts, etc. this is a Thread over the ies scripts from EE2. 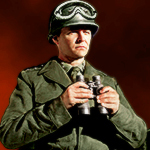 The ies files are for scripted Missions in EE2, like in the Campaign. My first question. How can i set a Missiontimer, like in the 6 Us Mission? Last edited by Loewenherz on 16 Mar 2019, 16:14, edited 2 times in total.